The hour for meeting having arrived, a quorum of five financial members being present, the President takes his station, puts on the badge of his office, assumes the gavel of authority and gives one rap for order and attention. President, standing: It is my will and pleasure that … Circle No. … shall now come to order in the Royal Degree, for the transaction of such business as may legally come before it. The officers will please take their stations and invest themselves with the badges of their office. The members will please put on their badges and be seated. Inner Guard, order the Outer Guard to close the dour, clear the ante-room and allow no one to enter until so ordered. Inner Guard, standing in door: The President of this Royal Circle has ordered that you close the door, clear the ante-room and allow no one to enter until so ordered. Outer Guard, from his station: The directions of our President shall be obeyed. I.G., closes the door: Worthy President, the Outer Guard has received your orders and will obey your directions. President, * *, all rise: Master-at-Arms, please examine those present in the quarterly password and the password of the Royal Degree, and if there be any strangers present, inform me thereof. M.-at-A., after having received the words from the President and examined the room: Worthy President, I find all present in possession of the passwords; or I find all in possession of the password except those standing before the Altar. All who do not have the proper Passwords will be conducted to the Altar and given the words, if entitled to receive them, by the Past President. If not entitled they must be escorted to the ante-room. President, * *, all rise: The Worlhy Chaplain will please attend to his duties. Sing and pray. Almighty and Eternal God, Our Heavenly Father, the Supreme President of the Universe and the Creator of all things therein, we thank Thee for all the blessings which we have received from Thy gracious and bountoeus hand. Heavenly Father, we humbly ask Thy blessing upon our Fraternity, which has been established in Thy name and for our people; we ask Thy blessings upon its ofIicers and members everywhere, and especially the officers and members of this Circle. Enable us to avoid all that is evil and harmful and inspire us to exemplify the basic principles of our fraternal Circle in our daily lives; those principles which bind us to our friends, and lift us up to Thee―Friendship, Justice, Love, Mercy, Kindness, Honor, Truth, Fidelity, Benevolence and Charity. Hear and answer us, O Lord, we humbly beseech Thee. Amen. All say: Amen! Amen! Amen! President: Master-at-Arms, please arrange the Altar and open the Book of Books. About the middle. Master-at-Arms: Worthy President, your order has been obeyed. President: By virtue of the power in me vested, I now declare … Cirde No. … duly opened in the Royal Degree for the transaction of such business as shall legally come before it. Attention! Enter the Circle! President: Inner Guard, inform the Outer Guard that this Circle is now open in the Royal Degree, and all who are qualified may enter. * * *, all are seated. Thc quarterly password is given to the O.G. and the password of the Royal Degree is given to the I.G. President: Inner Guard, relieve the Outer Guard and inform him that the President of this Circle desires to know where his station is and what his duties are in this Circle. Outer Guard, standing at inside door: Most Worthy President, my station is at the outer door of this Circle in the ante-room and my duties are to keep off strangers and intruders, and not even allow a friend to enter the ante-room, who cannot give the Q.P.W., unless ordered to do so by you; to require every friend to invest himself with a Royal Badge; and to obey the orders of the President and my superior officers, and to be present at all meetings. Takes his seat. President: Inner Guard, you will please rise and tell us where your station is, and what your duties are in this Circle. Inner Guard, standing: Most Worthy President, my station is at the inner door of the Circle, and my duties are to allow no friend to enter this Circle who does not wear the Royal Badge, and who does not give the correct alarm and password; and to obey the orders of the President and my superior officers and to be present at al meetings. Takes his seat. President: Master-at-Arms, you will please rise and tell us where your station is, and what your duties are in this Circle. Master-at-Arms, standing: Most Worthy President, my station is at the right and in front of the President and my duties are to take up the passwords, to prepare and accompany candidates and to obey the orders of the President and my superior officers, and to be present at all meetings. Takes his seat. President: Commander, you will please rise and tell us what your station is, and what your duties are in this Circle. Commander, standing: Most Worthy President, my station is at the left of the V.-P., and my duties are to preserve order and decorum in the Circle, to have charge of the members in procession and upon funeral occasions; to teach the drills and tactics of the order, and to obey the orders of the President and my superior officers, and to be present at all meetings of this Circle. Takes his seat. President: Governess, you will please rise and tell us where your station is, and what your duties are in this Circle. Governess, standing: Most Worthy President, my station is at the left of the President, and my duties are to assist the President and Commander and Vice-President in preserving order and decorum in the Circle; to have supervision over the female and juvenile members of the Circle, and on special occasions and public exercises, to preside in the absence of the President; to obey the orders of the President and to be present at all meetings of this Circle. President: Chaplain, please rise and tell us where your station is and what your duties are in this Circle. Chaplain, standing: Most Worthy President, my station is at the right of the Altar, in front of and facing the President, and my duties are to administer the obligation, to conduct the devotional exercises in the Circle and upon funeral occasions; to visit and comfort the sick friends of this Circle, and to obey the orders of the President and my superior officers, and to be present at all meetings. Takes his seat. President: Past President, you will please rise and tell us where your station is and what your duties are in this Circle. Past President, standing: Most Worthy President, my station is at the left of the Altar, in front of and facing the President, and my duties are to have special supervision of the initiation of new members; to give special instructions when necessary; to assist the President in every way possible; to obey his orders, and to be present at all meetings of this Circle, Takes his seat. Treasurer, standing: My station is at the left of the President, and my duties are to receive from the Secretary all moneys collected by him, and to disburse them only upon an order from the President signed and sealed by the Secretary; to present to this Circe at the end of every quarter a written report of all receipts and disbursements during the term; to report the condition of the Treasury whenever ordered to do so by the President of this Circle; to obey the orders of the President, and to be present at all meetings of this Circle. Takes his seat. President: Secretary, you will please rise and tell us where your station is and what your duties are in this Circle. Secretary, standing: Most Worthy President, my station is at the right of the President, and my duties are to keep a good and true record of all the proceedings of this Circle; to conduct all its correspondence; to have charge of the Seal and its Archives; to make out quarterly and annual reports of the work and business of the Circle and transmit the same to the Grand and Supreme Officers, in accordance with the laws of the order; to deliver to proper officers all funds, documents or other property coming into my hands; to keep the accounts of this Circle; to keep a financial account between the Circle and every friend; to notify all who are in arrears; to collect all money due the Circle and immediately pay the same over to the Treasurer, taking his receipt therefor; to announce at the end of every quarter the indebtedness of every friend; to report the general financial condition of the Circle whenever requested by the President or the Circle; to obey the orders of the President, and to be present at all meetings of the Circle. Takes his seat. President: Assistant Secretary, you will please rise and tell us where your station is and what your duties are in this Circle. Assistant Secretary, standing: My station is at the right of the Secretary and my duties are to assist him in the performance of his duties, obey his directions and the orders of the President; fill his station when he is absent, and to be present at all meetings. President: Vice-President, you will please rise and tell us where your station is and what your duties are in this Circle. Vice-President, standing: My station is in the West, opposite that of the President, and my duties are to assist the President, Governess and Commander in preserving order and decorum in the Circle; to preside over the Circle in the absence of the President and Governess; to aid in the initiation of new members; to assist the President in every way possible; to obey his orders and directions, and to be present at every meeting of this Circle. Takes his seat. President, standing: The station of the President is in the Executive Chair of the Circle; he sits in the East, from whence came the Wise Men of old and from whence comes the sun in his radiant glory to dispel darkness and to preside as King of the Day. It is his duty to preside over the Circle; to guide and control its business in the proper direction; to have general supervision over the circle and its affairs at all times; to appoint all committees unless otherwise ordered by the Circle. It is his duty to do all in his power to promote the interests of the Circle; to advance and elevate the friends of this Circle intellectually, morally and financially. It is his duty to enforce the laws, edicts and regulations of the order, generally, with justice and impartiality. In the discharge of these solemn obligations and duties, I ask your earnest co-operation and assistance. What is the duty of every friend of this Circle? All repeat the following after the President: To attend every meeting of the Circle; to obey the laws, rules and regulations of the Subordinate, Grand and Supreme Circles; to obey the edicts, mandates and instructions of the Supreme and Grand Presidents, aand to obey the orders of the President of this Circle, and to exemplify in our daily lives the principles of Friendship, Love, Mercy, Kindness, Honor, Truth, Fidelity, Benevolence and Charity. Three raps and all take their seats. The President will appoint a sufficient number of friends to assist the Master-at-Arms if there are several candidates. 2. Are you, to the best of your knowledge and belief, of sound bodily health? 3. Are you willing to take upon yourself a solemn obligation to keep forever secret all that you may hear, see, or be instructed in? The President directs the Master-at-Arms to retire with his attendants and prepare the candidates. Each candidate is then securely blindfolded. The Master-at-Arms gives one rap upon the inner door, which are answered by one rap. Inner Guard, in a deep voice: Who comes here to disturb the harmony of this peaceful Circle? Master-at-Arms: The Master-at-Arms of this Circle, with a stranger who desires to learn the mysteries of your Circle, and to become one of your friends. Inner Guard: Most Worthy President, the Master-at-Arms of this Circle is at the door with a stranger who desires to travel through the hot sands to the East and learn from our Wise Men through the mysteries of the Royal Circle of Friends. Master-at-Arms: Most Worthy President, I am requested to present to you … (his name), a stranger who desires most sincerely to learn our mysteries and to become a friend of this Circle. President, standing: Stranger, ages and eons ago, when the huge Dinotherius and the mighty Leviathan held sway; long before the Golden Rule was formulated, and long before Confucius constructed his theory of doing unto others as a man would have others do unto him; long before civilized men had gone beyond Simla and Bombay and cleared the path fur civilization in India, the foundation and basic principles of this Fraternity were promulgated in the Indian injunction, "See no evil. Speak no evil. Hear no evil!" For ages rules of a character akin to this have been given to mankind, to the great advancement of the world. But in the ancient Indian admonition is combined all the virtues of all others: "See no evil, speak no evil, hear no evil." Let me impress vividly upon your mind the beauty of this prehistoric warning, a warning which would bring about, if heeded, the dream of Tennyson, "The Parliament of Man." 'Keep this motto and injunction ever before you, for it reminds you that all men are your brothers and all women your sisters! Master-at-Arms, please conduct the candidate before the Altar, where the Chaplain will administer the obligation of this degree. Master-at-Arms: Worthy Chaplain, I present to you a stranger who desires to receive the obligation of this degree. Chaplain: Stranger, you will please be seated. Place your left hand on the Book of Books and raise your right hand to the God who made you. Master-at-Arms, remove the hood-wink so the stranger may be in possession of all his faculties. Stranger, repeat after me: I solemnly promise that I will never reveal the password, grips, signs or any other secret or mystery of this order, except in a Circle recognized by and under the control of the Supreme Royal Circle of Friends of the World. 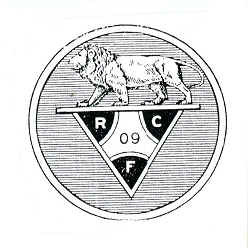 I further promise that I will never become a member of, visit, nor recognize in any way, any organization using the name of this order, or any derivative thereof, which is not recognized by and under the control of the S.R.C.F.W. I further promise and swear that I will not disclose the business transactions of this Circle, nor of any other Circle, to persons who are not friends, nor will I make a practice of discussing the business of the Circle meetings even with friends, except in the Circle Room. I further promise and swear that I will obey all the laws, rules and regulations of the Supreme, Grand and Subordinate Circles, and I will cheerfully and willingly obey the edicts, mandates and instructions of the Supreme President and the Grand President and the President of the Subordinate Circle of which I may be a member. relations of a friend of the Royal Circle and that I will protect the peace and purity of his household as I would my own. God hears me say this, and may He help me to keep my obligation! Amen! Amen! Amen! Chaplain: Master-at-Arms, conduct the candidate to the President, that he may learn the lessons of our noble order. Master-at-Arms: Most Worthy President, by the direction of the Chaplain, I present to you a stranger who has taken the obligation of the Royal Degree and who is now ready to learn the lessons of our noble order. President: Stranger, out of the darkness and gloom of antiquity comes the strange, weird story of Tileetka, an Indian prince, a man of culture and refinement, the last of his race and tribe. Indeed Tileetka was one of those superb characters of which God seems to have given only a few to any race or nation, It is said of him that when one gazed upon his honest, manly brow and looked into his truthful eyes, one voluntarily exclaimed, "What a piece of work is man! How infinite in faculties! In form and moving how express and admirable! The beauty of the world! The paragon of animals!" In the province of Sameata a continuous warfare had been waged between the tribes of Gorania and Ducentia. Wahnona was the chief of the tribe of Gorania, and on account of the hostility of the neighboring tribes he maintained a large and powerful army at all times. Hee-tum-ka was the chief of the tribe of Ducentia and the father of Tileetka. When Tileetka was in his twentieth year the most disastrous, the most cruel and bloody war ever chronicled in the history of Sameata was waged between the tribes of Gorania and Ducentia, led by Wahnona on the one side and Hee-tum-ka on the other. It was a truceless battle, which resulted in the utter destruction and ruin of Hee-tum-ka and his army of braves. But one warrir remained of the entire army of Hee-tum-ka. It was none other than the only son of the brave Hee-tum-ka, Tileetka. The legends of Sameata tell us that the Great Spirit rode with Tileetka upon his own horse throughout the entire battle and that the poisoned arrows of the Goranians would not even pierce the render body of Tileeltka nor do harm to his fiery steed. At last, as all things end, the bloody battle ceased only because there were no more of the Ducentians to be slain, Wahnona, himself badly wounded and bleeding, and with only a few of his magnificent warriors left, had Tileetka, the prince, placed in chains and carried away into Gorania to eke out the nest of his life in a dark dungeon, feeding only upon bread and water. Having returned to his province, victorious in the bloodiest battle and fiercest war in which he had ever participated, Wahnona set about to rebuild his country and recruit his army for the future, But, alas! the Great Spirit frowned upon him and his people because of their unnecessary cruelty to Tileetka. The very earth refused to yield her portion to the tillers of the soil; the fountains and springs sent forth bitter waters instead of sweet; pestilence and starvation decimated the flower of his army; sickness and unrelenting disease pursued the members of his own household to the very portals of the grave, till there were none left save himself; the cattle died upon hill and in valley; insects and vermin infested every house; strong men, lovely women and innocent children were stricken with disease and died unattended. At last the hoary head of the cruel Wahnona himself was brought near to the verge of death, and being impelled by his conscience, he sent a trusted messenger and had Tileetka brought from the dungeon to the royal palace. He fell upon his knees before the princely form of Tileetka, for he had not seen him for ten years, and having ordered a diet of bread and water for him when he thrust him into the dungeon, he was dumfounded at the handsome appearance of Tileetka, when all others had shrivelled and shrunk away to almost nothing. He inquired of Tileetka why so much trouble had been sent upon him, and Tileetka, touched with pity and sorrow at the abject condition and miserable appearance of the former chief of the Goranians, replied as follows: "Such, O Chief, are the results of an unholy ambition, an evil lust for power, an inordinate greed for gold and gain, a boastful, selfish, mean and unjust spirit, together with all utter disregard for the teachings of the Great Hook and the Great Spirit." The chief replied: "O prince, I see the entire error of my unholy and unjust ways, How may I amend and undo the things I have done?" The prince replied: "O Chief, remember that every man is your brother, every woman is your sister, and the Great Spirit the father of all, and in your relations with them exercise Friendship, Justice, Love, Mercy, Kindness, Honor, Truth, Fidelity, Benevolence and Charity, and all will be well." Stranger, I warn you, in the name of all that is holy and right, that these are the cardinal and basic principles of this order, and I adjure you to keep them ever in mind and preserve them inviolate. Bind them about thy meek, write them upon the table of thy heart, and thy journey through life will be one of Peace, happiness, Success and Prosperity. Master-at-Arms, conduct the candidate to the Vice-President, that he may learn the lesson of Friendship. the weary struggles of life. There was never a human heart that did not at some time, in some tender and yearning hour, long for the sympathy of friends! A thousand transitory friends are met along thr crowded thoroughfares of life; but when we come to try their durability in the sieve of experience, alas, how many fall through! There have been times in the life of every man when he has been willing to stake reputation, credit―all―on the friendship of some companion, but too often he has found his idol turned into clay! You will be fortunate, indeed, if in the course of your lifetime you should secure the happiness and advantages of just one true and devoted friendship, And if you should be so blest, it will be worth a whole army of those luke-warm and treacherous souls, who, indeed, profess to be attached to us, but whose affection is so uncertain and unstable that we fear to put it to the test of a trial, lest we lose it forever! The Royal Circle of Friends teaches you to be a true friend and to so live and conduct yourself that you will deserve the friendship of good men and women. Master-at-Arms, conduct the candidate to the Past President, that he may learn the lesson of Justice. Past President, standing: Justice comprehends all that is right between man and man, and demands a daily, yea, an hourly, exercise of the Golden Rule, "Do unto others as you would that they should do unto you." Master-At-Arms, conduct the candidate to the Governess, that he may learn the lesson of Love. Governess, standing: Love is, like God, eternal, primeval, ever-present; but you must believe in it to feel its presence; you must try to be worthy of its blessing! Love is an actual need, an urgent requirement of the heart. The grandest element in the world is that indefinable, indescribable, perennially fresh and beautiful love between man and woman; that love which is as powerful today as in the morning of the beginning of time, and which will continue to rule until time is ended; that love which has the power to tame the savage's heart; which finds man rough, uncouth and selfish and leaves him a refined and courteous gentleman; which transforms the timid, bashful girl into the woman of matchless power for good. Love is the foundation of the home, and it so blends the hearts in blissful unity as to make a willing separation of the son from his father's house, and the daughter from all the endearments of her childhood's home, and causes them to go out together and rear for themselves an altar around which may cluster all the cares and delights, the anxieties and sympathies of the family relationship! This love, if pure, unselfish and discreet, constitutes the chief usefulness and happiness of human life. Without it there would be no organized and regulated household, and consequently none of that earnest endeavor for a competence and respectability which is the mainspring to human efforts; none of those sweet, softening, restraining and elevating influences of domestic life which alone can fill the earth with the happy influences of refinement! Master-at-Arms, conduct the candidate to the Chaplain, that he may learn the lessons of Mercy, Kindness, Honor, Truth, Fidelity, Benevolence and Charity. Chaplain: Stranger, the Hook of Books teaches us that those who are merciful shall obtain mercy. So you are taught by this fraternity to draw the curtain of night upon injuries; shut them up in the tower of oblivion, and let them be as though they had not been! To forgive one’s enemies, yet, hope God will punish them, is not forgiveness enough. To forgive them ourselves and not to pray God to forgive them is a partial act of charity. Forgive thine enemies totally and without any reserve! Kindness is the music of good-will to men, and on this harp the smallest fingers in the world may play heaven’s sweetest tunes on earth! Kindness gives us friends wherever we may chance to wander. Whether we dwell with the savage tribes of the forest or with civilized races, kindness is the key which unlocks the human heart to us. Its influence never ceases. Started once, it flows onward like the little mountain rivulet in a pure and increasing stream. To show kindness it is not necessary to give large sums of money, or to perform some wonderful deed that will immortalize your name. It is the tear dropped with the mother as she weeps over the flowerlined casket of of her departed child! It is the word of sympathy to the discouraged and the disheartened; the cup of cold water and the slice of bread to the hungry one. Be ye, therefore, kind to one another. A man of Honor! What a glorious title is that! He who merits it wears a jewel within his soul, and needs none upon his bosom. His word is as good as his bond, and if there were no law in the land one might deal just as safely with him. To take unfair advantage is not in him. He looks you in the eye and says straight out the things he has to say, and he does unto others the things he would that they should do to him. Strive to be a man or a woman of honor! Truthfulness is a bright and shining quality in any one, and without this virtue there is no reliance upon language, no confidence in friendship, no security in promises and oaths, We are not called upon to speak all that we know; that would be folly; but that we do speak let it be the truth, for nothing appears so low and mean as lying and dissimulation. Lying in youth is the forerunner of perfidy and crime in old age, and a fatal omen of growing depravity and future shame. Therefore, in all things and at all times speak the truth. Exercise fidelity to yourself, fidelity to your family and friends and fidelity to your God! If there be a pleasure on earth which angels cannot enjoy, and which they might almost envy man the possession of, if it is the power of relieving distress and doing good to a fellow-human being through Benevolence and Charity! Benevolence and Charity are those attributes that thinketh no evil and are kind, hopeth all things, believeth all things and endureth all things. They are the angels of Mercy which forgive seventy and seven times, and are still rich in the treasures of pardon. They visit the sick, soothe the pillow of the dying, drop a tear with the mourner, bury the dead and care for the orphans. They delight to do offices of good to those cast down, to relieve the sufferings of the oppressed and the distressed, to proclaim the gospel to the poor. Their words are more precious than rubies; their voices sweeter than honey; their hands softer than down, and their steps as gentle as love. Stranger, may God help you to ponder well these principles in your mind and keep them close to your heart! Master-at-Arms, conduct the candidate to the President for further instructions. President: Have you learned well the lessons of this noble order? Answer. Upon the truthfulness of your answer and by the authority in me vested I now create you a Royal Friend in … Circle No. …. Two raps, all rise. Master-at-Arms, face the friend to the Circle. Friends of … Circle No. ..., behold your friend; Friend, behold your Circle! Three raps and all are seated. Master-at-Arms, conduct the friend to the Vice-President and Commander for instructions in the secret work of the Royal Degree. When the Circle is open in the Royal Degree, and you desire admittance to the ante-room, you will make your presence known at the outer door by scratching on the door. The Outer Guard will then open the door and you will give him, in a whisper, the quarterly password. If correct he will admit you and direct you to put on your badge, If not correct he will report your name, and if you are friend will admit you upon the order of the President. You will then advance to the inner door and give one rap, which will be answered by one rap. The Inner Guard will then open the wicket and thruogh it you will give the password of the degree, which is Tileetka, and never changes. You will then be admitted and advance before the Altar and enter the Circle, which is done as follows: clasp the hand over the head forming a circle, then lower the hands to the side then with the right hand seal the mouth, eyes and ears, then lower the hand to the side. Then bow to the President and the Vice-President, who will seat you by a wave of the hand. Should you desire to leave the Circle room before the Circle has been closed, you will advance before the Altar and withdraw from the Circle, which is done in the same manner as entering the Circle, which has already been described, except in reverse order. Should you desire to find a friend, you will draw the right hand carelessly across the mouth as if wiping it. This says: I want to speak to you and that I am your friend. This sign is answered by placing right hand on ear, which says I hear you and I am also a friend. They then approach each other, both being friends, and give the following grip: close all fingers of the right hand, except index and thumb, form a link with same fingers of friend. This says we are linked in the circle. Two claps of hands or two stamps of feet. Which is answered by any friend in the same way. And when the distress sign is heard it is your sworn duty to go to the rescue of the friend giving it, and give all the aid and assistance in your power. Open right hand over eyes. The Q.P.W., as its name implies, changes every quarter. It can be given you only by your President or the Past President, under his direction, or upon an official order signed by the President and Secretary, with the seal of the Circle upon it, any President may give you the Q.P.W. which signifies Strength, Power, Courage, Bravery and Loyalty. President, standing: Inasmuch as the business of this Circle has been dispatched, we shall now proceed to close. Friends, as long as Friendship, Honor and Charity shall characterize the meetings of this Circle, you will contribute your part toward adding praise to the order and reflecting credit upon yourselves and upon our race. Attention! Withdraw from the Circle! Master-at-Arms, close the Book of Books and secure the property of the Circle. The President will pause until the Master-at-Arms has obeyed his order. Master-at-Arms: Most Worthy President, your orders have been obeyed. President: Attend while the Chaplain invokes the divine blessing. All clasp hands over the head until Chaplain finishes. Chaplain: May the blessings of our Heavenly Father be continually upon our united fraternity, and go with every true friend everywhere, and at last save us all to share the blessings of eternal life with the Supreme President of the Universe. President: By virtue of the authority vested in me, I now declare … Circle No. … duly closed until … unless sooner called by me. Inner Guard, inform the Outer Guard. Three raps, and all are dismissed.